Sweden now recycles or reuses an incredible 99 percent of its waste, an improvement on the already impressive 2012 figure of 96 percent. The country uses a waste management hierarchy system that focuses in descending order on prevention, reuse, recycling, recycling alternatives, and as a last resort, disposal in landfill. 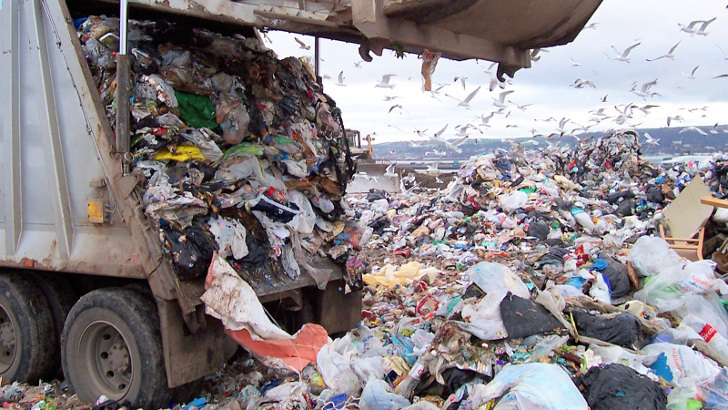 While only one percent of the average annual 461 kilograms of waste that each Swede produces winds up at the landfill stage, it is the “recycling alternatives” stage that is still causing controversy, as it involves the incineration of around two million tons of trash a year in the country’s Waste-to-energy (WTE) program. While Sweden focuses very heavily on not producing waste in the first place, the country’s 32 WTE stations burn almost as much trash as the country recycles. However, around 800,000 tons of that trash are imported from the UK, Italy, Norway and Ireland because the Swedes are such efficient reducers, re-users and recyclers. The WTE system works on the principal that three tons of burnt trash contains as much energy as one ton of fuel oil. 950,000 Swedish households are heated by the energy produced by the system, and 260,000 households are powered by it. Despite criticism of the incineration program, its proponents are quick to defend it. Anna-Carin Gripwall from Swedish Waste Management explains, “When waste sits in landfills, leaking methane gas and other greenhouse gases, it is obviously not good for the environment. Waste-to-energy is a smart alternative, with less environmental impact, taking into account both by-products of incineration and emissions from transport. Plus, recovering energy from waste exploits a resource that would otherwise be wasted.” Sweden’s WTE plants also currently put out about half the emissions levels that they are permitted to by law. Organic, compostable plastics can now replace petrolium based plastic in many applications. Polyhydroxyalkanoates, PHA, like polylacticacid, PLA, are environmentally friendly choices. Also, if they end up in a WTE program, they burn clean. A Swedish innovation, www.wecycle.se is a game changer in electronics and equipment recycling. I had my unwanted items picked up from my home for free of charge and was recycled in a very efficient manner. Sweden now recycles or reuses an incredible 99 percent of its waste, an improvement on the already impressive 2012 figure of 96 percent. The country uses a waste management hierarchy system that focuses in descending order on prevention, reuse, recycling, recycling alternatives, and as a last resort, disposal in landfill. While only one percent of the average annual 461 kilograms of waste that each Swede produces winds up at the land fill stage, it is the “recycling alternatives” stage that is still causing controversy, as it involves the incineration of around two million tonnes of trash a year in the country’s Waste-to-energy (WTE) program. While Sweden focuses very heavily on not producing waste in the first place, the country’s 32 WTE stations burn almost as much trash as the country recycles. However, around 800,000 tonnes of that trash is imported from the UK, Italy, Norway and Ireland because the Swedes are such efficient reducers, reusers and recyclers. The WTE system works on the principal that three tonnes of burnt trash contains as much energy as one tonne of fuel oil. 950,000 Swedish households are heated by the energy produced by the system, and 260,000 households are powered by it.